Peiru is a determined, action-oriented and self-driven individual with a rigorous engineering academic background. She also has comprehensive training in the financial industry with Citi as a Management Associate and in a private equity fund, managing projects worth over 4 billion. Thereafter, Peiru spent the next 9 years in entrepreneurship, turning around a company facing bankruptcy to leading it to be the market leader in the wedding industry by innovation and process automation. 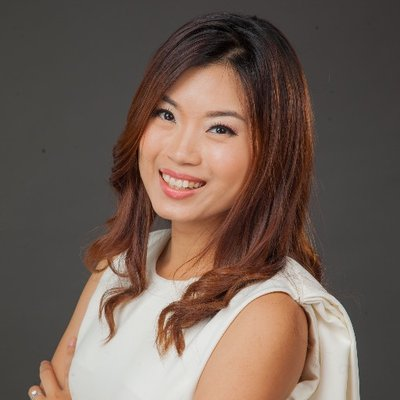 Her work of business transformation and technology has been featured in Channel News Asia, The Straits Times, Lianhe Zaobao, The Business Times, Berita Harian and Today. As part furthering the impact of what technology can do for organizations, she is now the CEO of KeyReply, which develops cutting edge AI technology solutions to help enterprises supercharge their productivity with process automation. Within 2 short years, KeyReply has become one of the leading players in the AI industry with clients from Governments, Healthcare, Insurance, Banking and Ecommerce industries. Peiru is a much sought after thought leader; frequently invited to speak in conferences and interviewed by the mainstream media. As a millennial herself, she leads a team of dynamic and dedicated team of AI and software engineers, as well as automation specialists to build the robotic workforce of the future. Check out the incredible speaker line-up to see who will be joining Peiru.